You must not misuse this Website. You will not: commit or encourage a criminal offense; transmit or distribute a virus, trojan, worm, logic bomb or any other material which is malicious, technologically harmful, in breach of confidence or in any way offensive or obscene; hack into any aspect of the Service; corrupt data; cause annoyance to other users; infringe upon the rights of any other person's proprietary rights; send any unsolicited advertising or promotional material, commonly referred to as "spam" or attempt to affect the performance or functionality of any computer facilities of or accessed through this Website. Breaching this provision would constitute a criminal offense under the Computer Misuse Act 1990. Stylish-Jewellery.co.uk will report any such breach to the relevant law enforcement authorities and disclose your identity to them. We will not be liable for any loss or damage caused by a distributed denial-of-service attack, viruses or other technologically harmful material that may infect your computer equipment, computer programs, data or other proprietary material due to your use of this Website or to your downloading of any material posted on it, or on any website linked to it. By placing an order you are offering to purchase a product on and subject to the following terms and conditions. All orders are subject to availability and confirmation of the order price. Dispatch times may vary according to availability NO GUARANTEES are made, and any delays resulting from postal delays, we will not be responsible for. In order to contract with Stylish-Jewellery.co.uk you must be over 16 years of age and possess a valid credit or debit card issued by a bank acceptable to us. Stylish-Jewellery.co.uk detains the rights to refuse any request made by you. We must receive payment in whole for the price of the goods that you order before your order can be accepted. Once payment has been received by us we will confirm that your order has been accepted by sending an e-mail to you at the e-mail address you provide in your order form. Our acceptance of your order brings into existence a legally binding contract between us. When placing an order you undertake that all details you provide to us are true and accurate, that you are an authorized user of the credit or debit card used to place your order and that there are sufficient funds to cover the cost of the goods. The cost of foreign products and services may fluctuate. All prices advertised are subject to such changes. Whilst we try and ensure that all details, descriptions and prices which appear on this Website are accurate, errors may occur. If we discover an error in the price of any goods which you have ordered we will inform you of this as soon as possible and give you the option of reconfirming your order at the correct price or canceling it. If we are unable to contact you we will treat the order as cancelled. If you cancel and you have already paid for the goods, you will receive a full refund. All prices are inclusive of VAT. Delivery costs will be charged in addition; such additional charges are clearly displayed where applicable and included in the 'Total Cost'. Payment is made using the quick, easy and safe Google Checkout service. Google Checkout is a system to pay for goods online, securely and quickly. You can pay with any debit/credit card, which means you don't actually need a Google account to use secure service. You acknowledge and agree to be bound by the terms of our Delivery Policy. If you are not happy with your items - If the goods we deliver are not what you ordered or are damaged or defective or the delivery is of an incorrect quantity, please contact us and let us know as soon as possible. • to refund to you the amount paid by you for the goods in question. Save as precluded by law, we will not be liable to you for any indirect or consequential loss, damage or expenses (including loss of profits, business or goodwill) howsoever arising out of any problem you notify us of under this condition and we shall have no liability to pay any money to you by way of compensation other than to refund to you the amount paid by you for the goods in question under the clause above. You must observe and comply with all applicable regulations and legislation, including obtaining all necessary customs, import or other permits to purchase goods from our site. The importation or exportation of certain of our goods to you may be prohibited by certain national laws. We make no representation and accept no liability in respect of the export or import of the goods you purchase. We take every care to ensure that the description and specification of our products are correct at the time of downloading. However, while the colour reproduction of the products is a close representation, we cannot accept any responsibility for any variation in colour caused by the browser software or computer system used by you. Stylish-Jewellery.co.uk shall have the rights in its absolute discretion at any time and without notice to amend, remove or vary the Services and/or any page of this Website. The above Terms of Service constitute the entire agreement of the parties and supersede any and all preceding and contemporaneous agreements between you and Stylish-Jewellery.co.uk Any waiver of any provision of the Terms of Service will be effective only if in writing and signed by a Director of Stylish-Jewellery.co.uk. 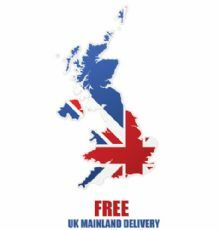 Stylish-Jewellery.co.uk will never knowingly source stock from countries which are in breach of the above principles. We also look to our suppliers to instill these principles when dealing with their own supplier base. Because of the sometimes complex nature of our suppliers' supply chain, it is not always possible to monitor and control the conditions of each individual involved in the production of our products. However, as Stylish-Jewellery.co.uk continues to grow it recognizes the importance of being proactive and doing everything within its power to support the rights of those involved in the manufacture of its goods. Whilst all reasonable care is taken to ensure accuracy of the contents and information on this site, Stylish-Jewellery.co.uk or anyone associated with Stylish-Jewellery.co.uk cannot accept any liability for any loss arising out of direct or indirect use of this information. Stylish-Jewellery.co.uk reserves the right to change the data, references, product specifications, pricing or otherwise amend the contents in full or part at any time without notice. © Stylish Jewellery 2009 - 2018. All rights reserved.